Versatile vodka stands alone or plays nicely with friends; enjoy it straight up, in a cocktail or as a flavoured vodka. So how do you take yours? A clear, fiery spirit usually made from grain or vegetables. 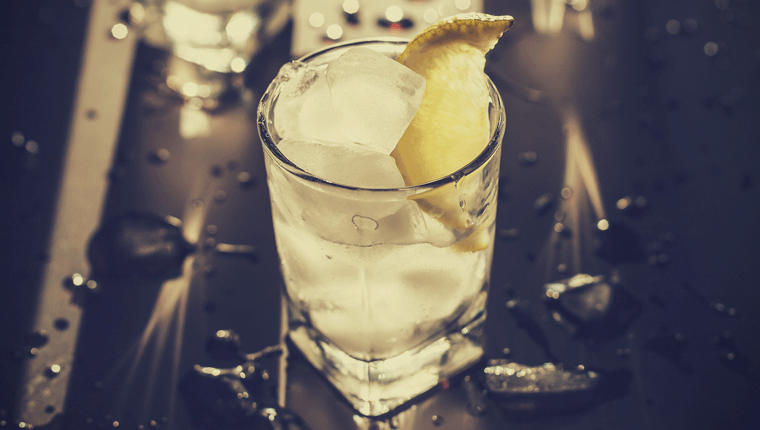 Eastern Europe – Russia and Poland – is vodka’s birthplace although it’s now produced around the world. Traditional vodka features subtle flavours of toast and earth, whilst new variants of infused vodka extend from vanilla and caramel to coconut and melon. Always keep your vodka in the freezer. Alcohol has a much lower freezing point than water and this will simply give the liquor a silky, glutinous consistency that slides down ever so easily. The clear, clean, fiery spirit of vodka sets pulses racing and instils fear in those about to face an evening with a Russian connoisseur. In popular culture, swarthy types toss a vodka shot down with one hand whilst reaching for a chaser with their other. And while draining your glass holds true when being offered a toast (as a mark of respect to whomever is being toasted), sipping neat vodka with food is the sign of a true aficionado. Initially produced (and consumed) as medicine in the early 15th Century, vodka evolved into a ceremonial drink involving much ritual and regulation during the 1600s. Enthusiastically consumed at court, distilleries were owned by nobles and the clergy, both whom produced copious quantities at high prices. It became fashionable for aristocrats to infuse their vodka with flavours such as herbs, berries and roots, a practice which died out but which has now come full circle with today’s fruit and herb vodka variants. Vodka’s traditional homeland is eastern and northern Europe, with both Poland and Russia developing the spirit at around the same time. But it’s the Russians who have emigrated far and wide taking their vodka passion with them. Vladimir Smirnoff, for example, brought vodka to America in the 1920s when the cocktail revolution was in full swing. Over and above Russia and Poland, modern vodka production has extended to Sweden, France, England and the US. Absolut: from Sweden, it’s one of the top three selling brands of vodka globally. Belvedere: from Poland, is made from rye rather than wheat and has been around for over 600 years. Grey Goose: from France, is a very young newcomer, launching in 1997 but already one of the world’s favourites. Smirnoff: from Russia, it was introduced to the world in the early 1900s from its inception in Moscow in 1862. Stolichnaya: from Russia, there’s still contention about when it was first produced and who currently owns it which is all irrelevant to its taste and success. So it starts to get interesting about now. Straight vodka is, to some, completely tasteless firewater. To aficionados it’s smooth, creamy and earthy. Since vodka is usually fermented from either grains or vegetables the first flavour influence is derived from its core ingredient. Grain- (wheat) based vodka is quite smooth, even fruity, whilst vegetable- (usually potato) based vodka can taste woody, even medicinal. New producers, such as Island 808 from Hawaii, are creating vodka from fruit bases, such as their Pineapple Orange Guava Vodka made from a pineapple, a tropical taste sensation. If you’re embarking on a purist’s approach of drinking vodka straight up, the quality of the vodka is critical as this also heavily influence’s the spirit’s flavour. Cheap, poorly distilled vodka is harsh on the palate, bitter and fiery. A good vodka is viscous (particularly if you’ve kept it in the freezer), crisp, clean, slightly sweet and slightly earthy in flavour. Flavoured vodkas have been around since the 1980s, commercially anyway. They’ve been home-infused for centuries before that. The more common vanilla, lemon and flavoured varieties are these days being superseded by exotic combinations of acai berry, coconut, basil, pomegranate, huckleberry, caramel apple and melon, all of which can be drunk straight or with a mixer. But remember, it’s only westerners who combine vodka with ice or a mixer; a vodka purist (and all Russians) will drink it straight, straight from the freezer. Since we’re in Russian territory, let’s start with vodka’s perfect pairing; caviar. The cold-yet-fiery viscous liquor and slippery, salty caviar pearls are an ideal match. But if caviar’s beyond the budget there are plenty of other delicious treats to savour with vodka. The traditional Russian approach is to eat a smorgasbord of appetisers (zakuski) in between sips. Traditional zakuski comprise pickled or salted fish, olives, cured meats, piroshky, pickled vegetables, prawns and eggs. Bear in mind that vodka is pure alcohol. If you’re drinking it straight you’ll only need a small glass (like a shot glass) whilst balancing the effects with some appetising morsels. Never fill a vodka (shot) glass to the brim, you’ll be marked as a Philistine. And very soon drunk. Never leave an empty vodka bottle on the table; it’s bad luck. Never be caught short of a toast; if you’ve run out and it’s your turn, charge your glass to ‘nazdarovye’, wishing your friends good health. Never forget to drink when someone else toasts; it’s tradition. Never drink vodka on your own; it’s poor etiquette.